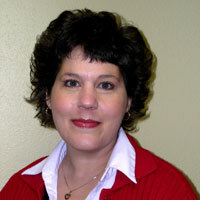 Kim Ratliff has been a performer and educator for over 14 years. After graduating from the University of Kansas, Kim was immediately accepted at the prestigious American Academy of Dramatic Arts. There, she discovered her love of improvisational comedy. Kim soon started studying and performing with the nationally renowned improve troupe, the Groundlings. While in Los Angeles, Kim also did commercial work, live theater, and warmed audiences for a game show. Returning to Kansas City, Kim married, started a family, and began teaching in the Shawnee Mission School District. Kim found her niche in teaching Kindergarten. Kim has incorporated the adventures of Junie B. Jones into her curriculum and teaching practice.